This week: This time, I think about how a player can learn to master a race track in a racing simulater, and, by doing so, also practice to drive on the real race track. A few weeks ago, I finally started to play Assetto Corsa (AC)  again . Assetto Corsa is a very authentic racing simulation due to a very realistic physics and graphics engine . Playing this game creates the immersion of actually driving a race car along a race track as the behavior of the different race cars, that are available in the game, feels really authentic and it is often very demanding to keep a car under control when it is driven at its very limits. This immersive effect is even supported by the realistic graphics engine which presents the race cars and the race tracks with almost photo-realistic details. Aside from enjoying the immersive effects of AC, it is also very interesting to observe the own improvement while practicing to drive on a certain race track. At first, the player has to figure out how the car reacts when he steps on the break or drives through different types of curves. However, after a short period of time, the player gets used to the behavior of the car and can start to improve the own performance on a certain race track. In order to do so, the player needs to learn and to understand each part of the race track. He has to figure out the braking points and the right speeds for each turn. Finally, the player has to find the right flow in order to connect all the turns so that he can operate the race car at its limits in order to achieve a great lap time. Apart from getting a feeling for the race track, the player is also motivated by the indication of the own lap times. Every time the player finishes a lap, he gets an immediate feedback about the own performance, hence can follow his own progress. As a side effect of practicing laps in a realistic racing simulator like AC, the users are driving on a virtual version of the real world race track, and, as a result of this, they potentially learn how to drive on the real race track. 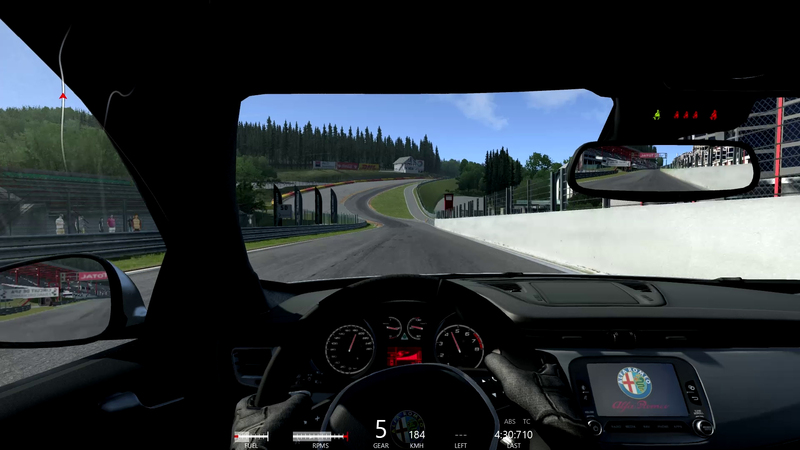 For instance, driving on the Spa race track allows the players to experience the famous „Eau Rouge“, and after having driven through the virtual version of this curve, players could be able to drive through this turn in the real world without any issues. At least, if they are used to the car they are driving. This week: This time, I think about how the state of flow is beneficial to achieve great things. On Thursday evening, I managed to set a new time record for my current running route. In general, this is nothing special as I constantly try to improve my time. This time, however, I was able to observe how I was motivated by a state of flow. According to Csikszentmihalyi , a state of flow can occur when a person is challenged by clear goals and rules, and is provided with enough feedback about the own progress. Morever, flow can also occur when a person fully exhausts the own skills and abilities in order to overcome a challenge. The process of working towards these clear goals or working at the very limits of the own skill level can lead to a very satisfying experience which is described as the state flow. Therefore, running can be an ideal flow activity as setting own goals and working at the very limits of the own skill level can easily be achieved. Amongst other things, runners can try to reach new distances, to run for a certain distance without stopping or to keep up a certain pace. After having defined the own goals, runners constantly get feedback during their runs as they can compare their current progress with their goal in mind. The runner’s feedback depends on the goal and can be the arrival at a certain point of the route or a very good time for a certain distance. In my very own case, I was frequently comparing the distance I have covered with the time I needed and constantly felt rewarded by my good pace. After having completed more than two thirds, I realized that I could achieve a very good time for this route and I felt even more energized. However, I have not expected the unexpected: two walkers got lost in this forest and needed help. Dang it! Although this was a setback, I remained in a state of flow and was very satisfied as I realized that my time was still very good. In the end, I achieved a new time record for this running route, but it could have been even better! Csikszentmihalyi, Mihaly (2010): Flow : Das Geheimnis des Glücks, 15. edit., Stuttgart. This week: This time, I think about the way how our own experiences could increase the immersive effect of a computer game. 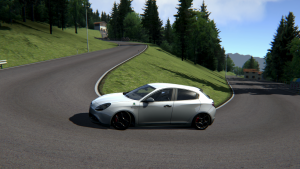 After a very long break, I finally managed to play Assetto Corsa (AC)  again. Of course, I would have liked to play it on a more frequent basis as it is a very realistic and fun racing simulator, but the aspect of being a realistic racing simulator requires more or less a steering wheel in order to fully enjoy the gameplay. In this case, playing AC needs all the time some preparation as I have to set up the steering wheel before I can start playing it. Furthermore, after I have finished driving along virtual race tracks, I need to remove the steering wheel as it would otherwise occupy too much space of my desk. In other words, playing AC is not as easy as playing other games. Yesterday, I took the time to set up my racing wheel and I finally was able to experience the fun of speeding along a race track, again. This is especially interesting as AC utilizes a very realistic physics engine and graphics engine, hence driving a virtual car in the game feels almost like driving a real car. The only thing that breaks a bit the immersion are the missing forces on the own body. Nevertheless, playing AC results all the time in a very intense immersive experience. However, this time I noticed another interesting component of the immersion of this computer game. Usually, I used AC to experience a ride on one of the famous Formula One race tracks. This time, however, I decided to explore the hill climb course „Trento – Bondone“ which is based on one of many small mountain roads that can be found in the Alps. The track itself consists of a narrow road that changes between more or less straight parts and serpentine roads featuring several tight hairpin curves. As I was driving along this track for the very first time, I noticed that the immersive feeling was increased in relation to the immersive effect of driving on a virtual version of a real race track. The reason for this could be the fact that I was driving along such kind of serpentine road during my skiing vacation in the Berchtesgaden Alps. In this case, I was able to connect my real world experience of driving on a serpentine road with the virtual experience of driving along a similar serpentine road. Connecting our own experiences with the experiences we make during the gameplay potentially adds another dimension to the immersive aspect of computer games as we are able to compare our expectations to the results of our gameplay. It can also explain why driving along the hill climb course had an even stronger immersive effect than driving on one of the race tracks: I never had the chance to drive on a real race track, hence I do not have any experience I can compare to the experiences in the game. Now, I need to get the chance to drive on one of the real world race tracks that are implemented in AC in order to examine if this will also enhance the immersive effect of driving on this track in AC. This week: This time, I think about the importance of first time experiences. The first time of doing something can be a very exciting experience. For example, riding down a steep slope, driving a special car or just visiting a new location for the first time causes in most of the cases a special first time experience. The excitement of these first time experiences comes mostly from the fact that we are experiencing something unknown and we are not really sure about how things will evolve. Of course, driving a special car for the second time can be still very exciting, but at this point, the driver has already gained some experience about the behavior of the car and can rely on this knowledge. An even better example might be the landing of an airplane on a short runway. Although the length of the runway provides more than enough space for a safe landing, it might look really unusal for the pilot who lands on it for the first time. He knows that it is no a problem at all to land on the runway, but he has never done it before and thus experiences something unknown. If the same pilot does the landing on the same runway for the second time, it might still look really short, but at this point, the pilot can rely on the knowledge he has gained during the first landing. These special first time experiences do also occur during the gameplay of a computer game. Computer games evolve around certain challenges and tackling these challenges for the very first time can be a very intense moment. 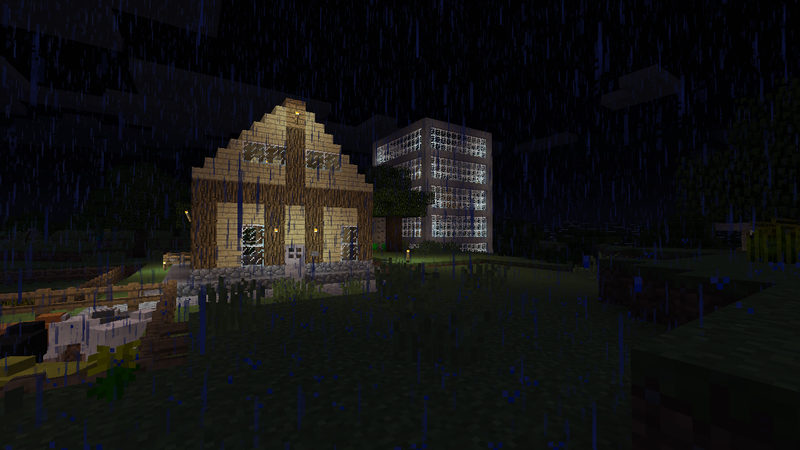 For instance, surviving the first night ever in Minecraft  can be a very scary and intense feeling. The first day passes relatively quickly and the player has only a limited amount of time to prepare for the first night as evil creatures are spawning in the darkness. A new Minecraft player has no idea how to deal with this situation, hence the first night is a unique experience. After having survived the first night, the player has gained some knowledge on how to deal with this situation. This will not decrease the danger of a night in Minecraft, but it will allow the player to act differently as he no longer deals with an unknown situation. These special first time experiences do not only result in great memories but provide a special meaning for certain activities. The experience of driving a special car will provide a special meaning to the general activity of driving. This is also true for computer games, as the computer game that has caused the special first time experience will always cause a special feeling once the user starts to play it again. 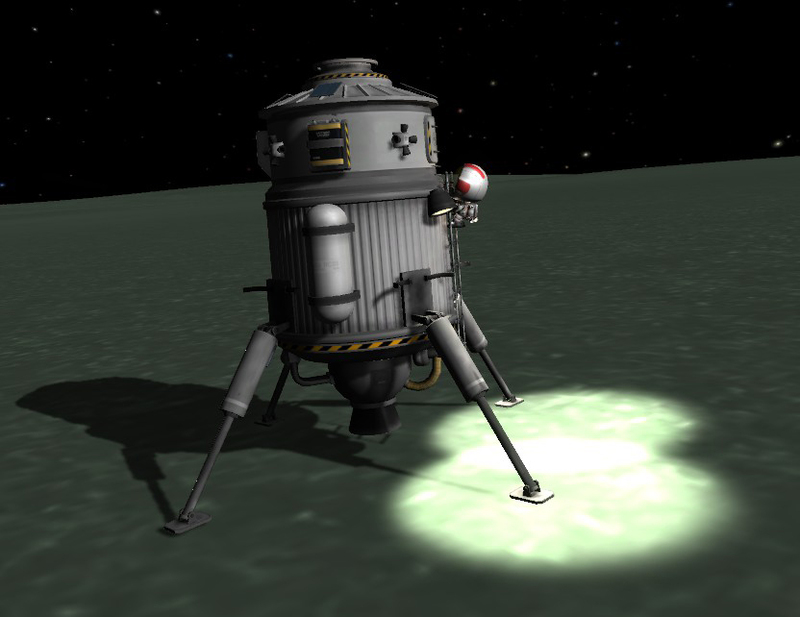 Kerbal Space Program (KSP)  is one of those games that causes all the time a special feeling once I start playing it. Every time I start this game, I have to think back to my humble beginnings and the first landing on the „Mun“. Although it is no longer that adventurous to land a spacecraft on a celestial body, playing this game still brings back the great memories of discovering spaceflight. In the end, these great first time experiences are causing a passion for our favorite activities as we do like to gain more of these first time experiences.